Do you experience PMS or PMT symptoms? Do you experience PMS or PMT symptoms. Are they before, during or after your period? 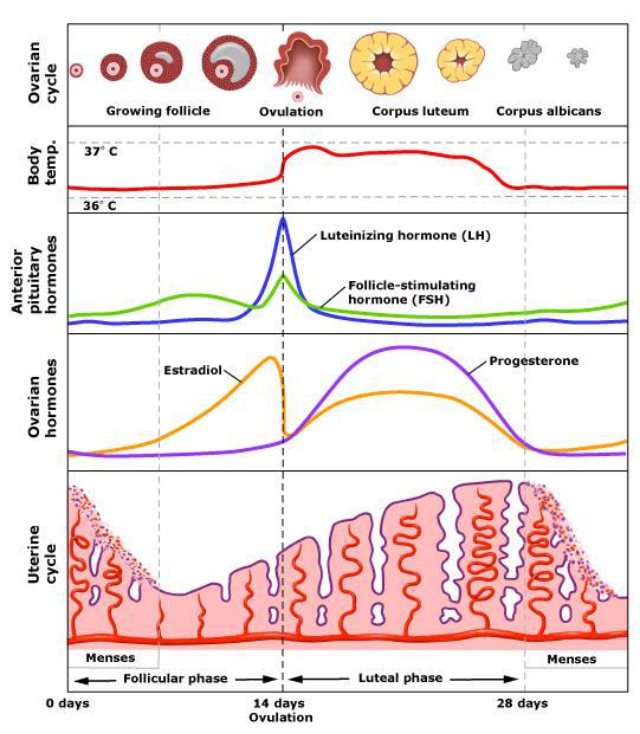 Check out this diagram of a ladies menstrual cycle. By knowing when you experience your symptoms you can determine which hormones may be out of balance. There are numerous herbs which can support us ladies and reduce the symptoms which we may experience. Contact me for a consultation and see how I can support you. This entry was posted in Complementary and Alternative Medicine, female health, health, Health and Wellbeing, Herbal Medicine, Herbalism, how to, menstruation, women's cycles by Herbs for Health and Wellbeing. Bookmark the permalink.